First woah: this new Crimson Dragon (the new name for that Project Draco game) trailer gave me goosebumps. It brought back all the feelings I got from the Panzer Dragoon titles with its music and visuals. 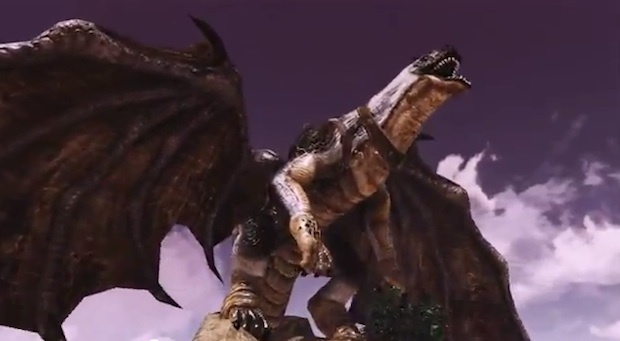 With the credits and throwbacks it's like this trailer is going out of its way to tell us that this is a Panzer Dragoon title, regardless of what the title says. Second woah: My head was spinning with excitement from all the dragons and lasers and fly-bys, but the slap of reality hit when the Kinect logo popped up at the end of the trailer. Why does this have to be a Kinect game? I get that Kinect can work fine for some experiences, but they're going to lose their targeted audience if they do not put in standard controls. I won't knock it (more than I have) until I've tried it. If Microsoft thinks that young, casual players are going to want to arm-fly with these ugly dragons, they're off their rockers. Only old nerds like me are going to want to play this.